The Annoushka Crown collection was born in a moment when royal frenzy was taking over the world, as Prince Harry and Megan Markle prepared to say ‘I do’. And just as the couple has been expanding their royal family, so too has Annoushka. Launched in February 2017, the year that the Duke and Duchess of Sussex wed, the Annoushka Crown collection started with gold rings decorated with tiny diamonds and coloured gemstones. These digit decorators mimicked tiny crowns, but the playful element had a function. 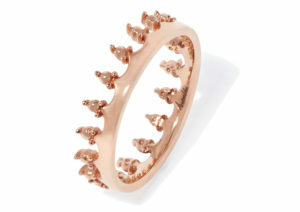 The arches of the crowns allowed the rings to interlock when stacked, offering multiple looks. The royal-inspired jewels have proved so popular in the years since that Annoushka is expanding the range, adding new lower-priced rings and bangles to the mix. 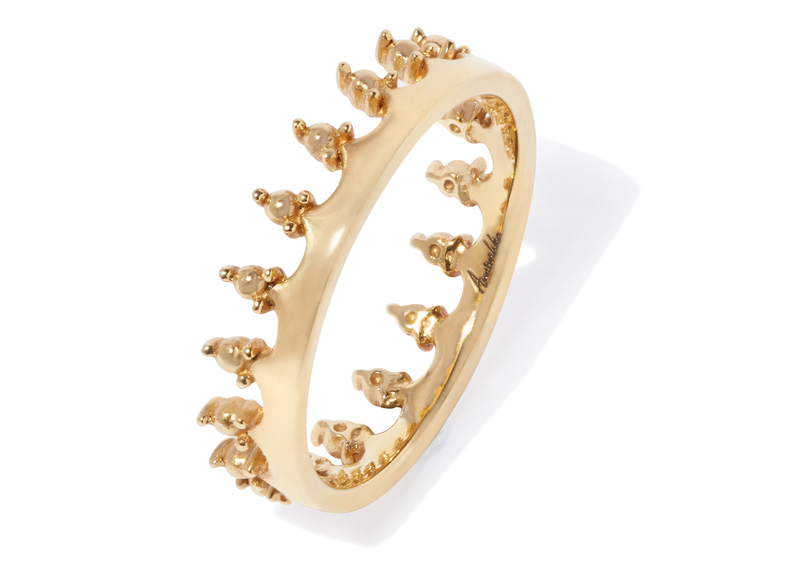 Next week, Annoushka will release plain gold versions of the Crown rings – in yellow, rose and white gold – which, without diamonds, have lowered the entry level price of the collection to £595. 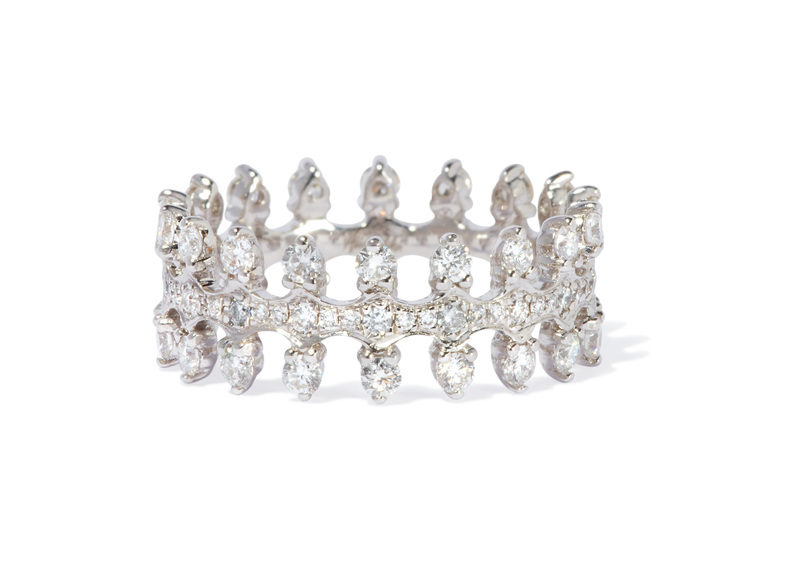 There is also a new luxe diamond-set version of the Crown ring that has a double row of arches so that rings can be stacked and interlocked above and beneath it. 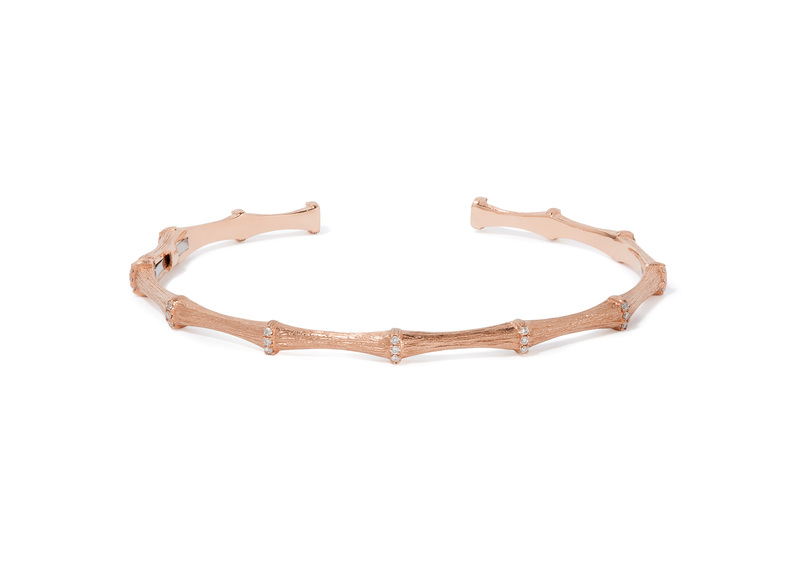 Also joining the line up next week are Annoushka Crown bangles. The gold and diamond bangles are supersized versions of the Crown rings, and also lend well to stacking. When worn back to back, the scalloped tips, glittering with diamonds, give the impression of lace edging. Other new designs launching at Annoushka next week include brushed gold and diamond hoop earrings and bangles inspired by the shape of bamboo. 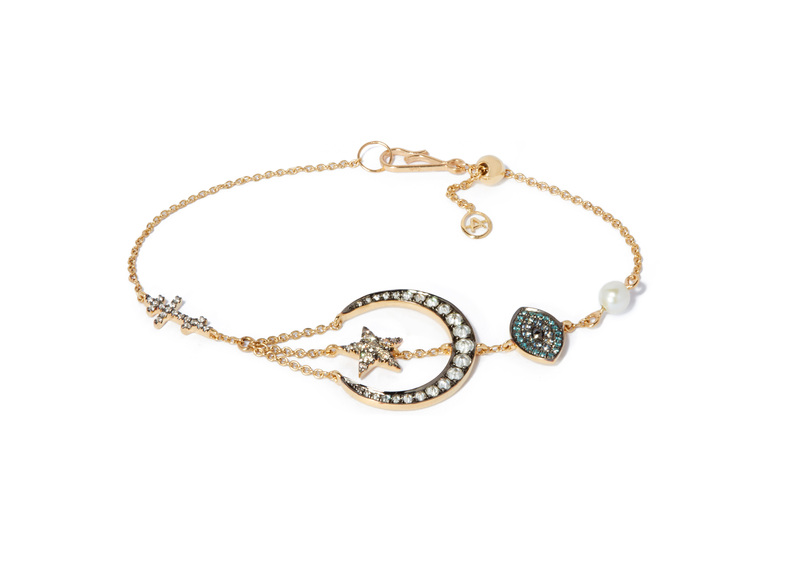 These jewels are a minimalist take on Annoushka’s Dreamcatcher collection of lavish mother of pearl, diamond and rose gold jewels that symbolise a banishment of evil spirits and fears. 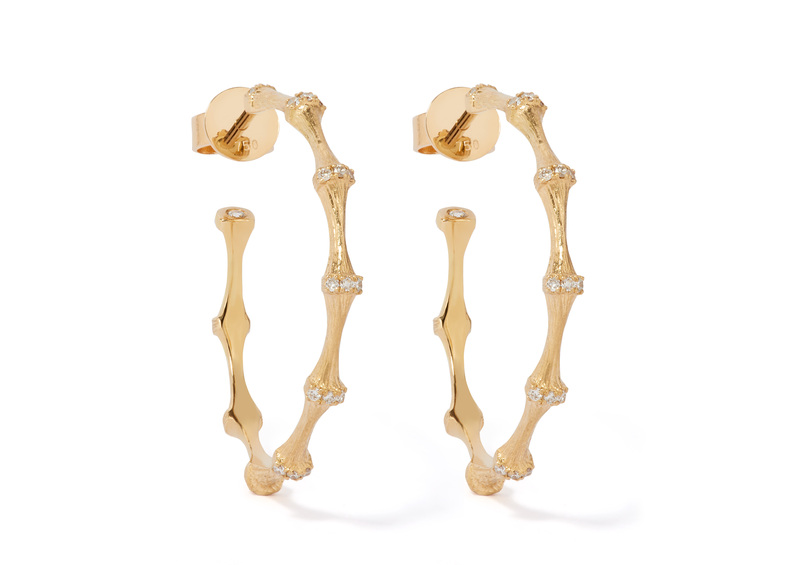 Love Diamonds will also get a luxurious reboot, with the Annoushka charm range being honed into edited jewels. 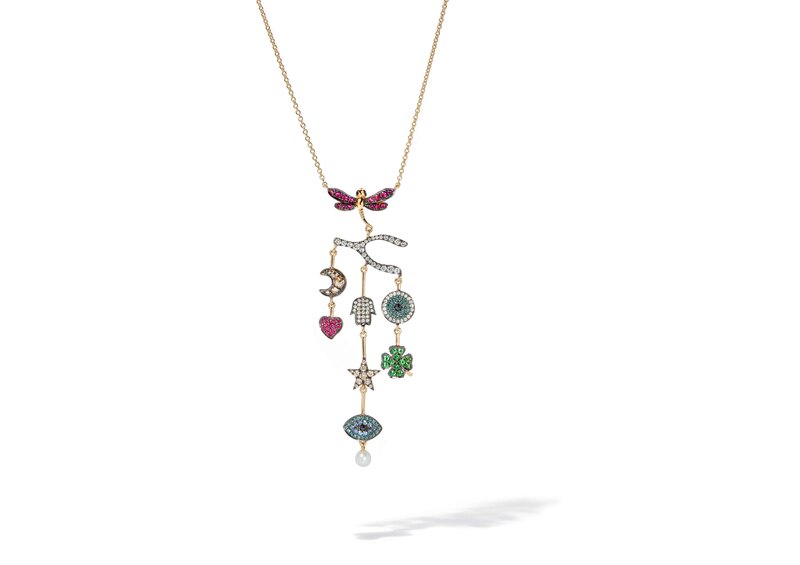 Classic charm motifs, such as evil eyes, dragonflies, crescent moons and Hamsa hands, decorated with diamonds, have been selected by Annoushka and fixed to jewels, such as bracelets and necklaces. 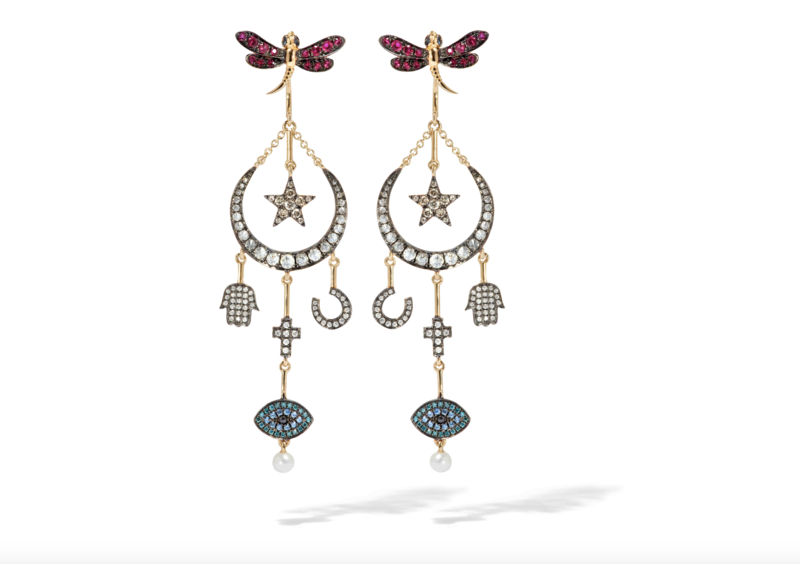 The standout new additions to the Annoushka Love Diamonds collection are two pairs of eclectic limited-edition earrings. Cascades of glittering charms drop down from a Love Diamond stud. We are encouraged to mix and match the earrings, which are sold singly, and even incorporate an alternative Love Diamonds stud earring – the drops are not fixed to the studs – to add an element of customisation.